The records on this page came from books kept by the Monroe County Veteran's Service Agency in order to locate graves and be able to place flags on the veteran's grave. Each book contains many small forms with data on each veteran burial. There is varying amounts of data on the veteran on these forms. Some only have death date while others include birth, death, enlistment and discharge dates and locations. Whatever is listed on the forms is included on this page. 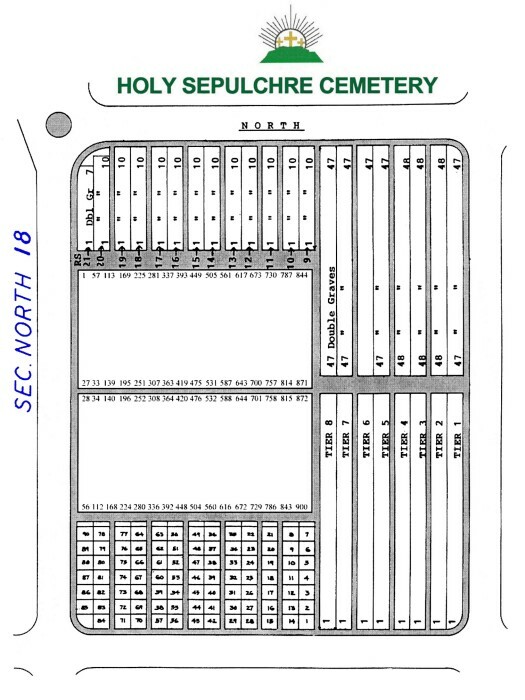 This section consists of 900 veteran burial plots surrounded by family plots on three sides. It appears that the veteran records were not updated after about 1975. The "Division" block on the form was used by the veteran's organization as a method of separating the County into sections for those placing flags. Unit Med. Det., 959 F. A. Bn. Died Sept. 28, 1964, aged 35 yrs. Died Sept. 26, 1964, aged 75 yrs. Died Nov. 16, 1964, aged 74 yrs. Name Perry, William J., Jr.
Died Feb. 10, 1963, aged 49 yrs. Died March 6, 1964, aged 65 yrs. Unit Guard & Fire Co.
Name Poinan, Edward Matthew, Jr.
Died May 10, 1963, aged 68 yrs. Name Popp, George F., Sr.
Unit Co. K, 310 Inf., 78 Div. 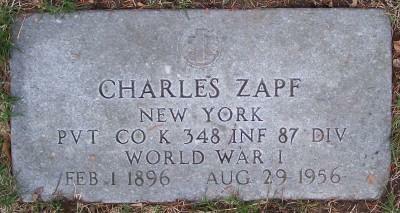 Died Feb. 10, 1963, aged 75 yrs. Notes Death year probably should be 1964. Name Rickard, Francis J., Sr.
Name Ryan, James Louis, Jr.
Died May 12, 1963, aged 74 yrs. Name Scahill, Thomas F., Sr.
Died Jan. 13, 1963, aged 66 yrs. Name Schmitz, Alfred W., Jr.
Unit Co. M, 153 Inf. Name Shadders, John R., Jr.
Unit Sqdn. D, 247 A.A.F.B.U. Died Feb. 10, 1964, aged 40 yrs. Name Shields, Robert S., Sr.
Name Skebeck, Edward J., Jr.
Name Smith , Robert C.
Died Aug. 11, 1963, aged 55 yrs. Died Jan. 26, 1963, aged 55 yrs. Unit 347 Inf. W. G. Co.
Died Sept. 8, 1963, aged 47 yrs. Died Nov. 12, 1964, aged 74 yrs. Unit 546 Sig. Base Depot Co.
Died Jan. 19, 1965, aged 47 yrs. Died Feb. 6, 1965, aged 56 yrs. Name Thomas, Harold J., Jr.
Name Vecchio, Joseph R., Jr.
Died July 14, 1963, aged 36 yrs. Died Dec. 2, 1964, aged 43 yrs. Name Wallace, James E., Jr.
Died April 26, 1963, aged 75 yrs. Died May 6, 1963, aged 70 yrs. Name Werger, Joseph J., Jr.
Unit Co. A, 14 Armor Cav. Name Wood , Charles A.